Move & Groove is a music class that focuses on the development and growth of the young child. 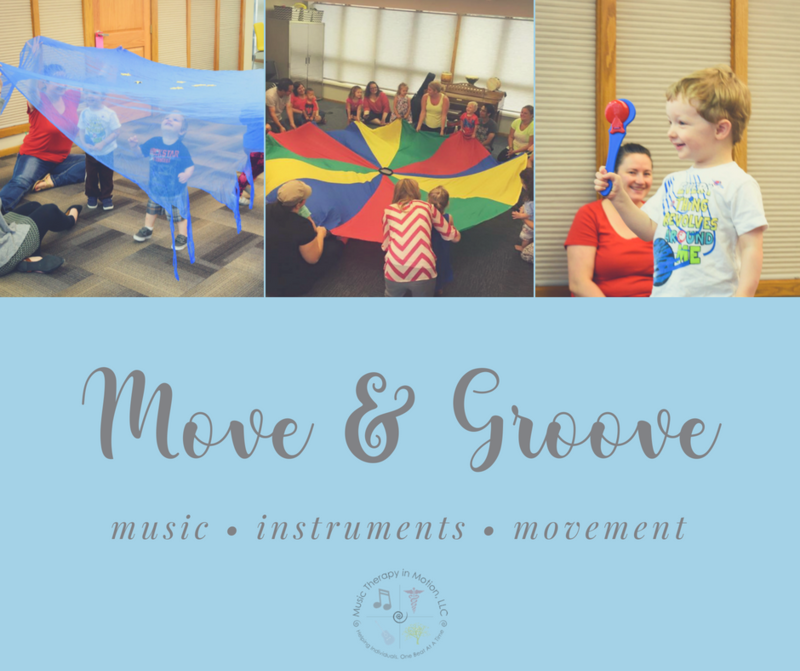 Move and Groove is for children of all abilities (ages 0-5) and their caregiver. Each class will be led by a Board-Certified and Licensed Music Therapist, and will focus on socialization, positive musical stimulation, communication, movement, and musical engagement through instrument playing. All classes are 30 minutes in length and will be limited to approximately 10 children.